Lao Government law enforcement officers have shut down illegal wildlife trade in four shops at Don Sao Market in the notorious Golden Triangle, confiscating almost 400 items during surprise raids on July 27. Vientiane, Aug 1, 2018 -- Lao Government law enforcement officers have shut down illegal wildlife trade in four shops at Don Sao Market in the notorious Golden Triangle, confiscating almost 400 items during surprise raids on July 27. 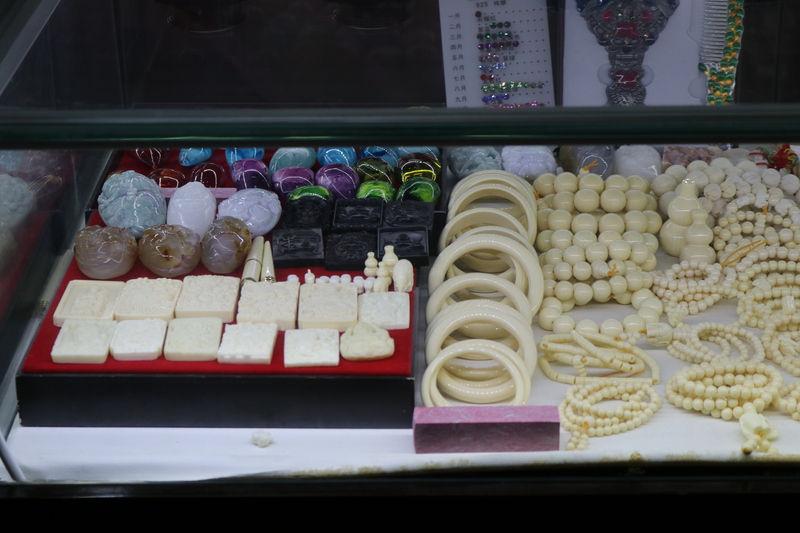 The illegal items, consisting of 9 different types such as bracelets, necklaces, horns, teeth, bracelets, pendants and bangles --many from endangered species -- were taken for identification and the Chinese shop owners were ordered to no longer sell illegal wildlife items or reproductions of wildlife parts. The two hour-long seizure by the Provincial Wildlife Law Enforcement Network (P-WEN) of Bokeo Province and Department of Forest Inspection (DoFI) took place at five Chinese owned shops inside the Special Economic Zone. 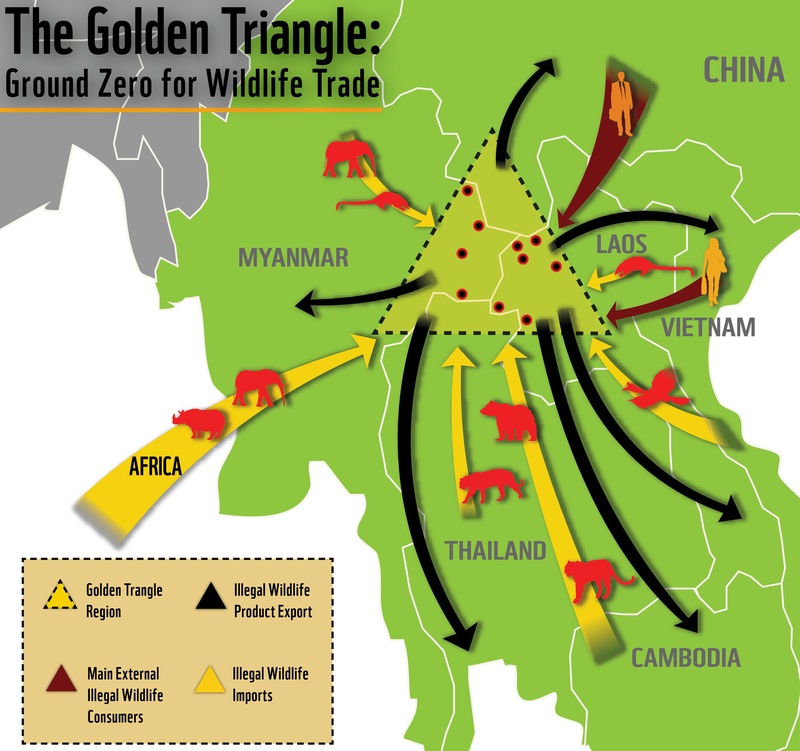 This area is well known as a hub of illegal wildlife trade and occurs inside the Golden Triangle, where Laos, Myanmar and Thailand intersect and many markets sell endangered species and their parts such as tigers, elephants, pangolin and bears. The trade takes place in shops, markets, restaurants and casinos. P-WEN enforcement officers from the Provincial Office Forest Inspection (PoFI) Department, Police, Army, Courts, Customs and Public Prosecution conducted the raids using four teams of seven people each. 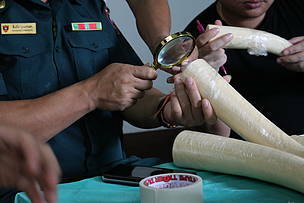 Analysis of the 393 items will determine if they are from endangered species or if they are fakes. They will be securely kept at the PoFI in Bokeo Province until a decision from Provincial Governor and DoFI. The P-WEN ordered the shop owners to sign warning letters that they were notified of their illegal actions and acknowledging that they can no longer sell or display wildlife items at their shops. They were also informed of the recent Lao Prime Minister Order 05 on Strengthening Strictness of the Management and Inspection of Prohibited Wild Fauna and Flora. This Order increases enforcement and penalties against illegal wildlife trade and is significant development in Laos’ efforts against this multi-national, multi-million dollar trade that is linked to organized crime. 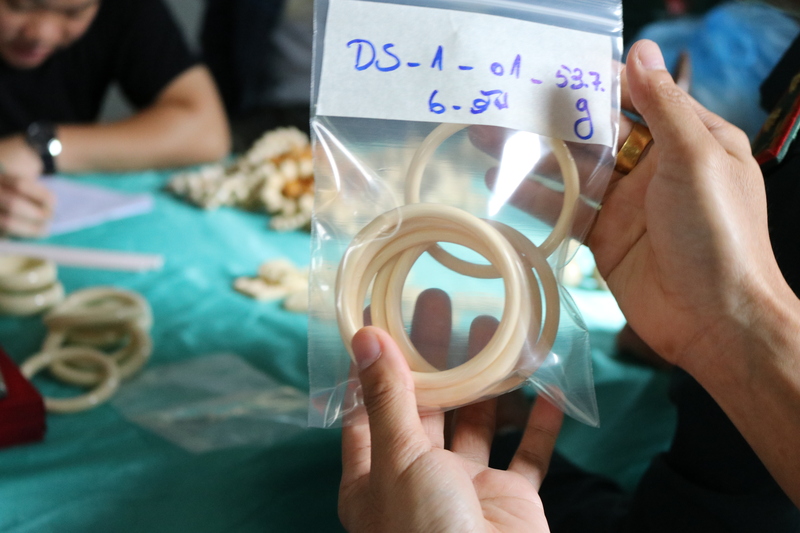 Many of the seized items will be sent to CITES Scientific Authority for identification and certification to determined if they are from endangered species. The rest will be securely kept by PoFI of Bokeo Province until further notice from the CITES Scientific Authority. CITES is the Convention on International Trade in Endangered Species of Wild Fauna and Flora – the global treaty that regulates trade in endangered species. Laos PDR is a signatory to CITES. WWF currently supports an anti-wildlife crime programme in the Greater Mekong Region, including in the Lao PDR, where wildlife poaching and illegal wildlife trade markets have caused serious declines in endangered species populations. The overall objective of this programme is to effectively reduce demand for illegal wildlife products, as well as to improve ranger capacity and support wildlife law enforcement activities and capacity building for the Department of Forest Inspection and its provincial offices. Expected by the end of this year, WWF-Laos with an agreement of the Lao government will extend the project area to two new provinces and one of these is Bokeo province. All photos shared here taken at Don Sao Market on 27 Jul 2018 during the confiscation and some of them were at the PoFi of Bokeo during the identification and the siezured items counting / recording. WWF-Laos is the local office of the WWF International Network, the world’s largest and most experienced independent conservation organisation. It has more than 5 million supporters and offices active in over 100 countries. Our mission is to support in reducing the degradation of the planet’s natural environment and to build a future in which humans live in harmony with nature. To do this, WWF works with a broad spectrum of partners including governments, industry, and local communities to find solutions to the challenges that face our natural world. Our Laos programme officially began in 1997 with the head quarter office established in 2001 and since then our work has focused on research, advocacy and building partnerships aimed at protecting Laos’ most precious habitats and species, building local and national capacity to conserve them, and improving the livelihoods of the communities who depend on them most. You can read more about WWF-Laos' diverse work here.